The Art of Naming: Happy Name Nerd-oween! 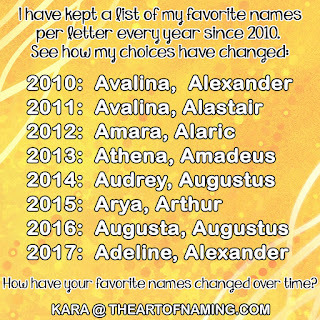 The 2016 Baby Name Stats Are Here! Happy Name Nerd-oween! The 2016 Baby Name Stats Are Here! 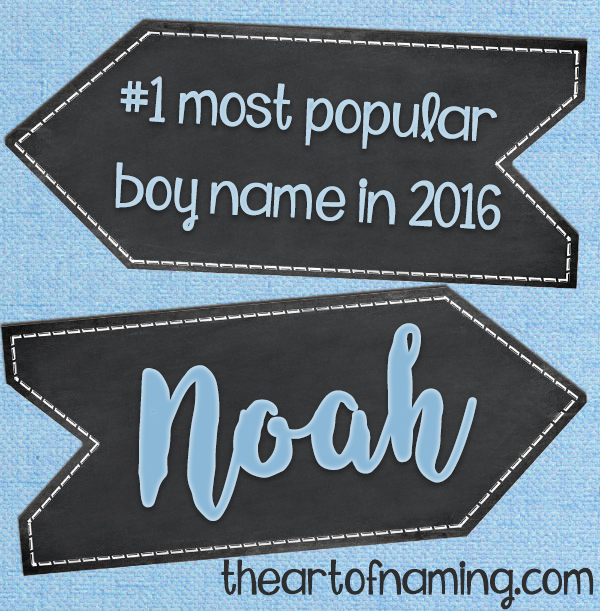 As you may know, the Social Security Administration has released the list of 2016's most popular baby names. It covers the Top 1000 in the site, but more names beyond that are also available for download. Emma has ranked at #1 four times now. The first time was in 2008, and now she's been ruling the chart for 3 years straight (2014-2016). 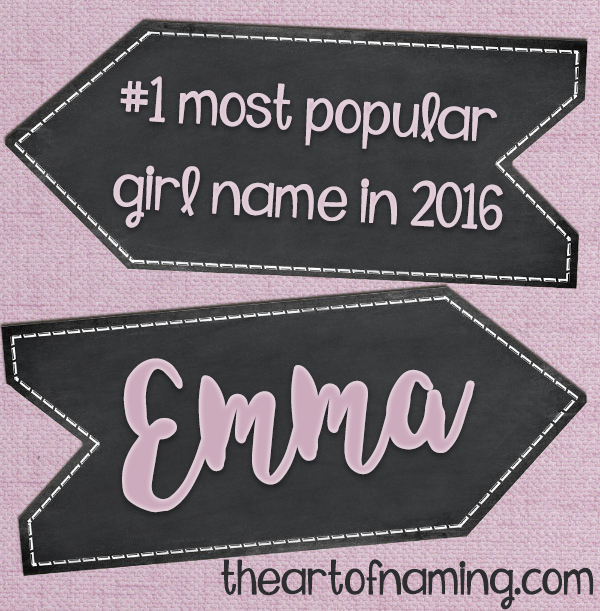 Will Emma continue her reign again next year? If not, which name will steal the crown? I think Olivia will rise to the top in the next year or three. As for the boys, Noah replaced the long-running Jacob in 2013. 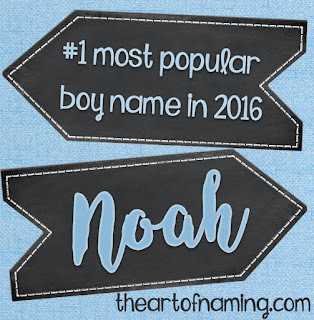 This is Noah's 4th year in a row being #1. How much longer will it remain at the top? If it dips next year, which name would replace it? My bet is on Liam. One notable thing is that Elijah joined the Top 10 for the first time ever. Other names to watch include Oliver, Charlotte, Amelia and Evelyn. Oliver is up 7 ranks, It didn't join the top 100 until 2009 and now it is on the verge of breaking into the Top 10. It ranked at #12 in 2016, so I would guess that it will land at either #9 or #10 next year. (With sister name Olivia taking #1 for the girls). What do you think? Charlotte which is up by 2 ranks over 2015 and is definitely on the rise. Charlotte could be a contender for the Top 3 in the next few years. Amelia has been steadily rising since joining the Top 100 in 2004, hitting #11 now in 2016. Evelyn once ranked at #10, but that was way back in 1915. At #12 in 2016, she could make a run for the Top 10 soon. Clearly America has grown tired of the Caitlin/Katelynn crowd. What do you think of those? What other interesting stats did you see? Share any information that stood out to you the most! Names Ending with the Letters "-my"